« Run CentOS on Virtualbox. After I added a bridged network, here is a screenshot that proves that it is working. First, after I started the httpd server, I can see the apache server default page from firefox inside the CentOS vm. Second, after turned connected to the bridged network, I can open the server from my local Windows OS. 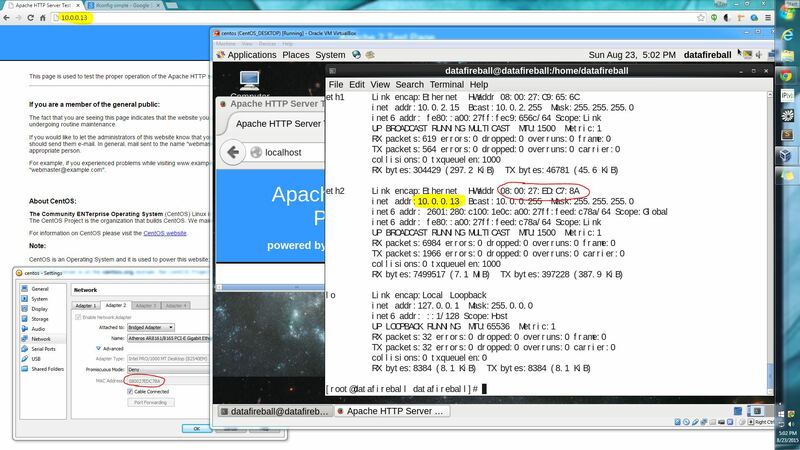 I have highlighted the ip address and MAC of the network device.